Because I used to do tech support, I am a little leery in updating a system that is working and that I rely on. While I do not install any other software onto my Quilt Path tablet, I still know that things can happen on a system that the software company does not expect. I also feel that it is important to play with the new software before I put in on my live system. After spending years testing software and having to troubleshoot issues, I just feel like I need to do this. 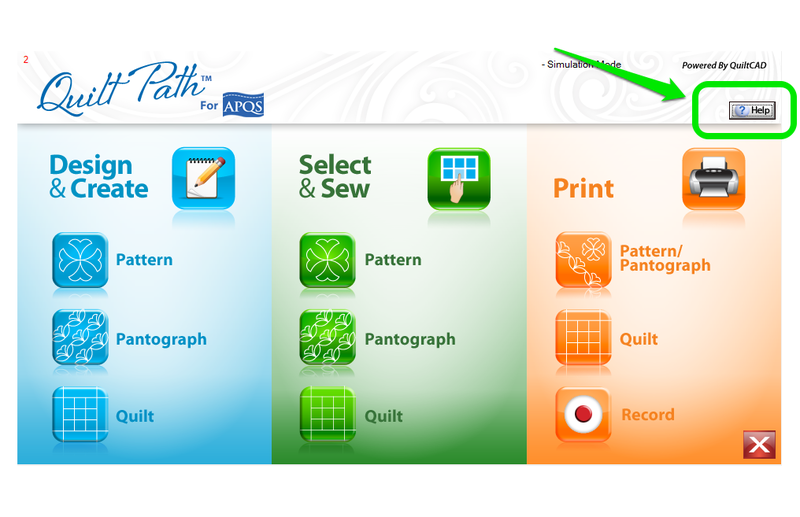 So, I downloaded the new version of Quilt Path onto my laptop this week. So that I could play and make sure that there were no issues with the way I work. So far, all has gone great. 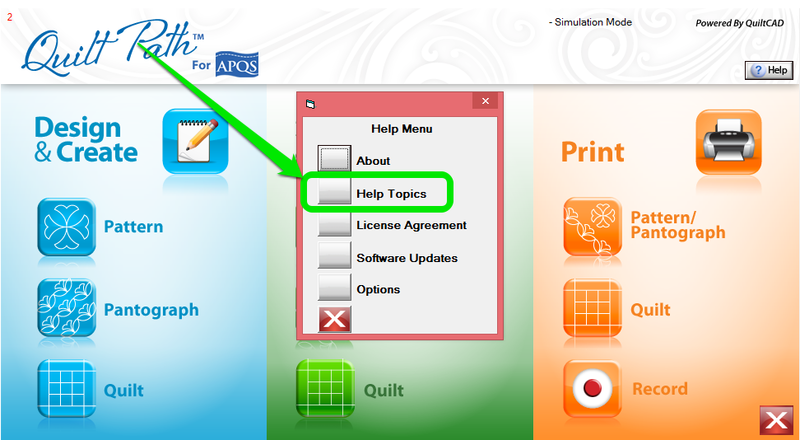 While I was clicking around the other day, I went into the Help Menu. This is actually why I decided to do a mid-week post. There are new help files. Oh my! Some of it is covered in the original help file, but it looks like they are working on making it so that we can find what we need faster! If you are on 3.05.05 you need to go look at your help files. Tap on the Help on the top right of your Home screen. 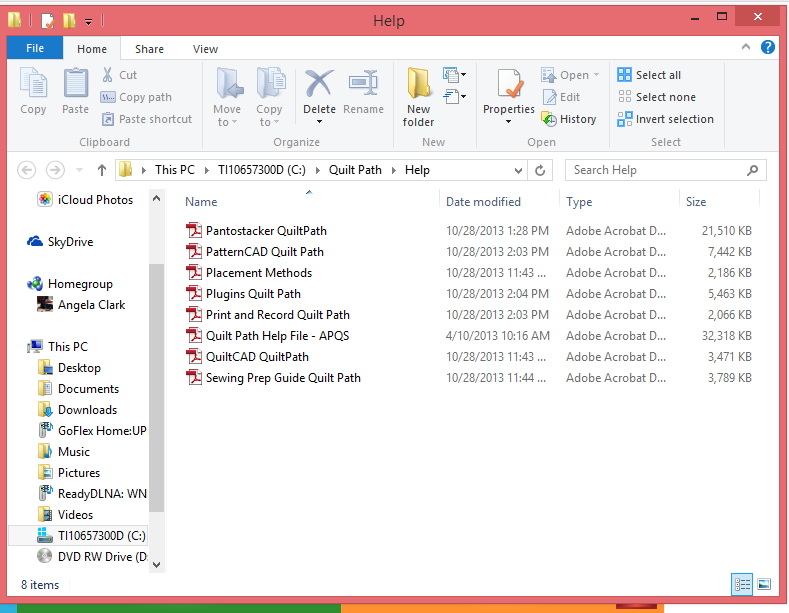 This will bring you to the folders with all the pdf files. There used to only be 2. Woo Hoo! Help files make me happy! I will be printing the PDF files for quick reference when needed. Thanks again for keeping all of us informed. I hope they get around to integrating these updates and get back to a normal help style menu with topics, indices , and stuff like that. I agree! A true help system with an interactive index would be nice. Tech Sunday - Quilt Path Design Lesson? Tech Sunday - Staying "In Production"